Disclaimer: I haven’t read any of these books yet, so I can’t vouch for their content in any way. I’m sharing them only because their titles are eye-catching and made me giggle when I found them. 1. 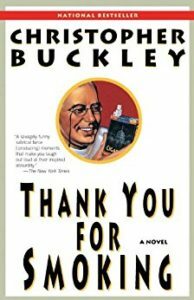 Thank You for Smoking by Christopher Buckley. 2. HELP! 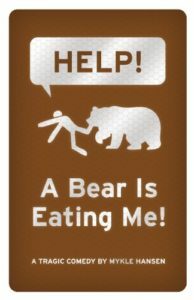 A Bear is Eating Me! by Mykle Hansen. 3. 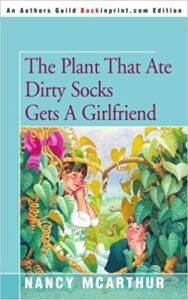 The Plant That Ate Dirty Socks Gets a Girlfriend by Nancy McArthur. 4. 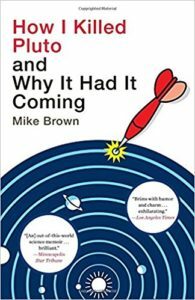 How I Killed Pluto and Why It Had It Coming by Mike Brown. 5. 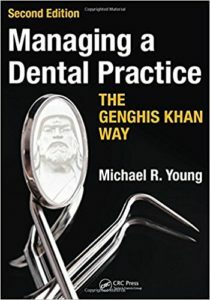 Managing a Dental Practice: The Genghis Khan Way by Michael Young. 6. 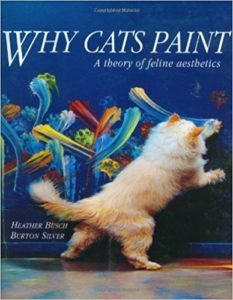 Why Cats Paint: A Theory of Feline Aesthetics by Heather Busch. 7. 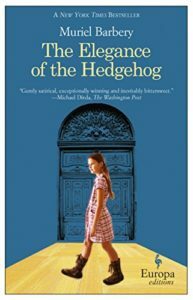 The Elegance of the Hedgehog by Muriel Barbery. What is the funniest book title you’ve seen lately? In Crome Yellow by Aldous Huxley, there is the following library. (Even more fascinatingly, they are dummy books, but despite being dummy books in a fictional novel they’ve become almost real to me). The bottom shelf,” he was saying, “is taken up by an Encyclopaedia in fourteen volumes. Useful, but a little dull, as is also Caprimulge’s ‘Dictionary of the Finnish Language’. The ‘Biographical Dictionary’ looks more promising. ‘Biography of Men who were Born Great’, ‘Biography of Men who Achieved Greatness’, ‘Biography of Men who had Greatness Thrust upon Them’, and ‘Biography of Men who were Never Great at All’. Then there are ten volumes of ‘Thom’s Works and Wanderings’, while the ‘Wild Goose Chase, a Novel’, by an anonymous author, fills no less than six. But what’s this, what’s this?” Mr. Scogan stood on tiptoe and peered up. “Seven volumes of the ‘Tales of Knockespotch’. The ‘Tales of Knockespotch’,” he repeated. “Ah, my dear Henry,” he said, turning round, “these are your best books. I would willingly give all the rest of your library for them. Oh, too funny! I’d also love to read those books. Great book titles!!! hope the insides live up to the outsides! Thank you. I’m going to try to find copies of at least a couple of them. LOL! There’s definitely something to be said for clever titles. Makes you want to at least pick up the book and see what it’s about. Great idea! Yes, for sure! I’m glad you were amused by this post. Impressive that the one is a second edition! Those certainly do stir the imagination…I wonder if a pet psychic was required to determine the feline aesthetics?